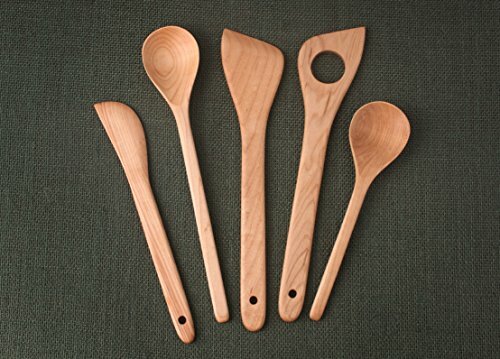 5 pieces of solid Maple make a classic wood utensil set. Chefs' prefer these square handles for the strong, comfortable grip. Each wood utensil is designed for a specific kitchen task. Spoons for tasting, stirring and mixing. Angled spatulas and spreader to scrape, lift and fold. From delicate sauces to chunky stews.